The Alpo Dog Food brand was founded in 1936 in Allentown, Pennsylvania with the goal of creating a simple, nutritious food that offered big, meaty taste. Today, a full 80 years later, Alpo claims to be delivering on that promise. The name Alpo comes from an abbreviation of Allen Products – the original name of the company – and if you believe what you read on the brand website, it is a name that can be used synonymously with “meat”. The Alpo website uses taglines like “more than meats the eye” and “don’t complicate your dog’s food – get to the meat of it”, driving home the idea that their products are meat-rich and full of flavor. Alpo claims that their recipes haven’t changed much in 80 years because dogs haven’t changed – they still crave the flavor of meat. What the Alpo website does not talk about, however, is the fact that their products contain by-products, fillers, and artificial additives. A quick review of some of Alpo’s products reveals that this brand is not all it claims to be. The Alpo brand belongs to the Purina family of brands which is currently produced and manufactured by the Nestle Purina PetCare Company. Originally the Ralston Purina company, Purina was acquired by Nestle in 2001 and merged with the Friskies PetCare Company. Today, Nestle Purina PetCare is headquartered in St. Louis, Missouri and it is the second-largest pet food manufacturer in the world and the largest in the United States. Is Alpo Made in the United States? The Nestle Purina PetCare Company is the second-largest global manufacturer of pet food products with operations in North America, Europe, Asia, Africa, and Latin America. Though Purina pet foods are available all over the globe, the Alpo website states in their FAQs that Alpo products are all proudly manufactured in the United States. Where Does Alpo Get Their Ingredients? The Alpo website talks about the brand’s goal of producing meaty, flavorful diets for dogs and states that their goal hasn’t changed in 80 years of existence and their products haven’t either. Alpo talks a lot about meat, specifically mentioning animal proteins like beef, chicken, lamb, and turkey. According to the brand website, Alpo’s gravy recipes contain 25% more protein than the competition that their proteins come from high-quality sources. Nowhere on the Alpo website, however, is it stated exactly where all of that meat comes from. The FAQs mention that all of Alpo’s products are made in the U.S., but there is nothing to be said about where Alpo gets their ingredients. In March 2007, the FDA issued a recall for Alpo canned products having a “Best By” date of February 2009 – more than a dozen individual recipes were affected. This recall was issued due to wheat gluten containing melamine. Alpo products are sold in most pet store chains – you may also be able to find them in discount stores an even grocery stores as well as from online pet food retailers. They occasionally have alpo coupons available on the company website and you can sign up with your email address to receive advanced notice about coupons and special promotions. 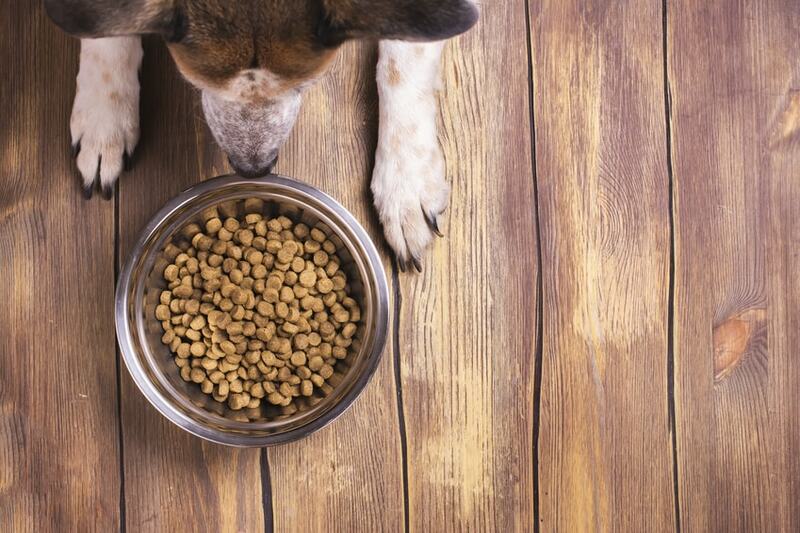 You may be able to find Alpo dog food coupons from individual retailers. What many dog owners love about the Alpo brand is that it is very affordable. You have to keep in mind, however, that the lower the price of a product, the lower the quality is likely to be – this certainly seems to be the case for the Alpo brand. The price for a 16-pound bag of Alpo dry food ranges from about $16 to $30, depending on the recipe. You can purchase 13.2-ounce cans of Alpo wet products in cases of 12 for $15 to $25 which gives you an average price of around $1.70 per can. The Alpo brand is known primarily for its wet food recipes, though there are a few options for dry food and dog treats. According to the Alpo website, the brand’s ground recipes contain 10% more protein than the leading competitor’s product and their gravy recipes contain 25% more protein than the competitor’s product. Alpo also states that their products are 100% complete and balanced for adult dogs, made from high-quality protein sources and formulated with 23 essential vitamins and minerals. Alpo uses animal proteins like beef, chicken, lamb, and turkey to ensure that their products are “yummy and delicious – pawfect”. The Alpo brand makes a big deal about saying that their products are made with “real meat” and loaded with meaty flavor. A quick review of their products reveals, however, that most of these meat flavors are artificial and the meat used in their products comes from unnamed, mostly low-quality sources. It is also important to note that most of Alpo’s recipes make use of by-products, low-quality fillers, artificial colors/flavors, and synthetic supplements that offer limited bioavailability for dogs. Alpo’s products may be complete and balanced in the most basic sense of the term, but this brand does not use quality ingredients in their products. Prime Cuts Savory Beef Flavor – This Alpo Prime Cuts Savory Beef Flavor Dry Food recipe is described as “packed with the good stuff your dog needs”. It is marketed as a hearty, flavorful recipe loaded with crunchy texture and savory beef flavor. According to the brand website, this recipe is no ordinary dry dog food – it contains high-quality protein and 23 added vitamins and minerals, including calcium to give your dog strong bones ad joints. This recipe delivers 100% complete and balanced nutrition for adult dogs but, if you look at the ingredients list, you will see that much of that nutrition comes from sub-par ingredients. In fact, meat isn’t even the first ingredient on the list. The first ingredient in this Alpo Prime Cuts Savory Beef Flavor Dry Food recipe is ground yellow corn – this is a problem for multiple reasons. For one thing, no quality food lists anything other than protein as the first ingredient. Furthermore, corn is a low-quality grain for dogs because it is difficult to digest, limited in terms of nutritional value, and there is a very real risk that is could trigger food allergies or sensitivities. This recipe also contains soybean meal which is a potential allergen as well as a plant-based source of protein. When it comes to the protein content of this recipe, the main source is meat and bone meal – this recipe doesn’t actually contain any real beef. Meat and bone meal is a questionable ingredient for a number of reasons. For one thing, it is an unnamed source of protein which means that you have no idea where it comes from. Furthermore, unnamed proteins vary greatly in quality from one batch to another so you really have no idea what kind of quality this ingredient has to offer. This recipe also contains corn gluten meal which is a plant-based protein. Because it is a corn-based ingredient and a plant protein, corn gluten meal offers very limited nutritional value and bioavailability for dogs. The remaining ingredients in this Alpo Prime Cuts Savory Beef Flavor Dry Food recipe consist primarily of fats, flavors, colors, and supplements. The main source of fat in this recipe is beef tallow – it is also likely the main source of flavor in this recipe, though egg and chicken flavor also appears on the ingredients list. Beef tallow is an inexpensive and low-quality fat commonly used in pet foods. This recipe also includes numerous artificial additives such as colors and flavors, plus it is made with numerous synthetic supplements. These supplements are likely required to ensure nutritional balance because there are very few natural sources of quality nutrition included in this recipe. These supplements are not chelated, however, so your dog will not be able to absorb most of them. This Alpo Prime Cuts Savory Beef Flavor Dry Food is formulated to meet the nutritional levels established by the AAFCO Nutrient Profiles for maintenance of adult dogs. Overall, this Alpo Prime Cuts Savory Beef Flavor Dry Food recipe meets your dog’s minimum nutritional requirements, but not through the use of any high-quality ingredients. The first ingredient in this recipe is a carbohydrate and a corn-based ingredient at that – plus, the only source of animal protein comes from an unnamed source. This recipe is loaded with artificial additives and it doesn’t contain any natural sources for key nutrients (like fruits and vegetables), any chelated minerals, or any probiotics. There is a very real risk that long-term feeding of this product could have a negative impact on your dog’s health. Prime Classics with Beef Canned Food Recipe – This Alpo Prime Classics with Beef Canned Food Recipe is, according to the Alpo website, loaded with “tasty goodness” and made with “genuine flavor”. This recipe contains 10% more protein than the leading competitor’s canned food and it is complete and balanced for adult dogs. Alpo also notes that this recipe features 23 essential vitamins and minerals, plus it features beef as the main attraction. If you take a moment to actually read the information on the label, however, you will find that many of these claims are not quite true. For example, this recipe is marketed as a beef-based food but chicken is the main source of protein. Furthermore, chicken is followed by meat by-products and an unnamed source of liver before the first beef-based ingredient is even mentioned. The fact that chicken is listed as the main ingredient (second to water used for processing) is a good thing for this recipe, but things go quickly downhill. Not only are the meat by-products used in this recipe from an unnamed source, but so is the liver. Beef is a secondary named source of animal protein but its position in the ingredients list makes it difficult to tell how much is actually used in this recipe. The remaining ingredients in this Alpo Prime Classics with Beef Canned Food Recipe consist primarily of fillers, artificial flavors, and synthetic supplements. Both soy flour and rice flour offer limited nutritional value and the potential to trigger food allergies or sensitivities. Guar gum and carrageenan are both used as thickeners and while the guar gum is not inherently dangerous, there is some evidence to suggest that carrageenan is a potential carcinogen for pets. The synthetic supplements used in this recipe are included to ensure nutritional balance but they are much less biologically valuable for dogs than natural sources for the same nutrients – things like fresh fruits and vegetables. Your dog will only be able to actually absorb a fraction of the synthetic nutrient content of this recipe and these supplements are only needed because much of the nutritional integrity of the ingredients is lost when the product is cooked at extremely high temperatures. This Alpo is formulated to meet the nutritional levels established by the AAFCO Nutrient Profiles for All Life Stages including growth of large size dogs (70 pounds or more as an adult). Overall, this Alpo Prime Classics with Beef Canned Food Recipe offers better nutritional value and quality than either of Alpo’s dry food recipes mainly because it includes two named sources of animal protein. This benefit is almost outweighed, however, by the fact that unnamed by-products and organ meats are used along with several low-quality fillers and artificial additives. You can certainly do worse than to choose this recipe for your dog but you can also do much better. Has there been any mention about contaminated Alpo canned food recently? I just had 2 little dogs die on me showing symptoms of kidney failures similar to those that happened in 2007. Unfortunately I had no idea about any contaminated dog food till after I had given both (Tank and Frank) A can of Alpo Gravy Crave’rs as a treat trying to train them. Next thing I noticed, first Tank who was always at my side not in his norm. He had his shots so I know the parvovirus and distemper should be ruled out. That and his sudden need to constantly drink water. He died at my feet while I was relaxing. Frank was not showing any signs of illness yet how ever he did seem depressed (his brother friend and sole playmate passing away and all?) Then he too became more distant and I rushed him to the vet, (not wanting to lose both my little friends missing Tank so much already.) There are only 2 local vets here costing $350 down just to have him looked at. The first automatically (Without any examination) says it is Parvovirus I picked frank up and went to the only other vet where lucky for us all save poor Tank and soon Frank. This vet actually did a test on him and like I figured he did not have Parvo the test proved it I gave the $350 to the vet along with Frank and I wait and wait calling them to here if he has any improvement. He died yesterday and I cannot afford to have a doctor look further into it. i would say yes. tho the dried food to be added to the list. this morning we lost are lab/rot mix Eli and we just got the alpo prime cuts last week. fresh bag. the other 3 will not eat it. like in 2007 we lost another dog. who’s brother would not eat the gravy train thus having him live longer then his brother. so i say again. yes i think Alpo needs to be recalled. Brian I am completely in shock and have the utmost synpathy for you. Both of my dogs were diagnosed with kidney failure after buying Alpo prime cuts wet canned food. I lost Oscar on December 14, 2016. Please contact me. I have feed 3 pups and the mom gravy train now im dealing with 3 very sick pups mom is doing some what better. So is there a recall or what? The dry food I gave my dog make her have seizures. And the vets bills is very expensive I can’t afford to pay it so I have to get rid of my dog. I really don’t want to get rid of my dog she is a very important part of my family. I need some answer and help.